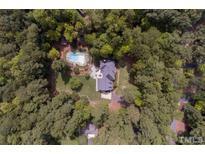 Below you can view all the homes for sale in the Wyndfield subdivision located in Raleigh North Carolina. Listings in Wyndfield are updated daily from data we receive from the Raleigh multiple listing service. To learn more about any of these homes or to receive custom notifications when a new property is listed for sale in Wyndfield, give us a call at 919-928-5027. This is a big rehab with a HUGE upside potential! 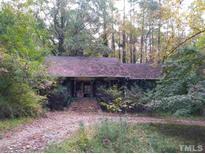 MLS#2231766. 5216. NO city taxes~5 bedroom/3 bath home on over 2 acres, Quiet street surrounded by Beautiful Mature Landscaping~Paradise awaits you in Private Backyard w/Patio overlooking a Beautiful In-Ground Pool~Upgrades throughout w/ Fresh Paint & Carpet~Hardwood Floors 1st Floor Main Living Areas~Large Gourmet Kitchen w/Granite Counters, Double Ovens, Island & Stainless Steel Appliances~Spacious bonus w/Kitchenette & Heated Tile floors~Master Bedroom w/Gorgeous View has Large Bath w/Dual Vanities & Walk-in Shower~Tankless Hot Water Heater MLS#2227372. 1197. ALL NEW: Floors, Windows, Updated Kitchen & all baths, Tile, Trim, Cabinets, Appliances, Plumbing & light fixtures, HVAC, Electrical,Lighting, Water Heater, Railings,Gar Doors, Paint, carpet, Landscape; 1st floor Guest Bedroom; Daylight walkout Basement w/Huge Recreation Room, wet bar, full bath & Fireplace; Kitchen open to Family; Private Lot, 4BR, 4.5BA, Circ Driveway w/Side Ent Gar MLS#2209252. 1757.